About 20 California activists surrounded a local home this weekend to prevent Freddie Mac and Chase Bank from foreclosing on the property, even amid rumors that sheriff’s deputies were coming to seize it. The Riverside, California home belongs to Arturo de los Santos, a former Marine who told Riverside’s City News Service that he fell behind on his payments when business plummeted at the factory where he’s employed. He said around 20 demonstrators are staying inside and outside the three-bedroom property. The former U.S. Marine sent a letter to Sheriff Stan Sniff explaining his circumstances and asking the county’s top law enforcement officer not to carry out an eviction. De los Santos’ story, unfortunately, has become all too common. President Obama’s foreclosure prevention programs have fallen woefully short and Republicans in Congressrefuse to take steps — such as taxing large banks to pay for further homeowner assistance — to alleviate the nation’s housing crisis. Banks and lenders, meanwhile, have made the problem worse, perpetuating fraudulent foreclosures, illegally foreclosing on military members and other homeowners, and foreclosing on homes they don’t even own. Please Support California Homeless Resources! Check out my Ceramic Tattoo Art Website! The recent foreclosures crisis has caused an incredible number of American home owners to struggle for more affordable home loans. Below is a story about the River Haven Project in Ventura Ca. I am not so sure about this project and will be investigating this more in the near future but thought I would share a news story that was done a couple years ago with you guys. When I looked online I could not find any recent stories about it. I will ask some of my friends and see what this place is all about.. Being Homeless and sleeping are against the law in California. Sunday Jun 26th, 2011 1:07 PM Homelessness in California is now punishable by a year in jail. Free Gary Johnson! 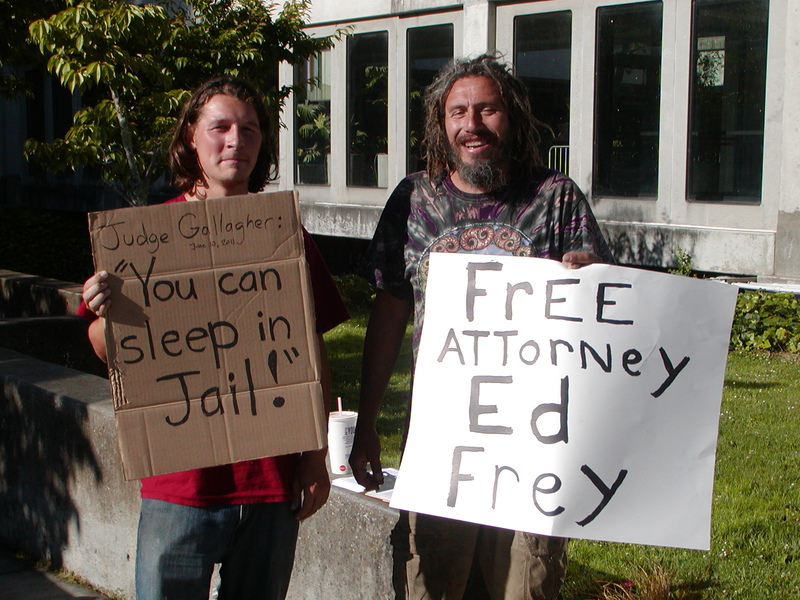 Overturn the Convictions of Ed Frey, Arthur Bishoff, Collette Connolly! Hands off Christopher Doyon! End Laws making it Illegal for the Homeless to Sleep at Night! 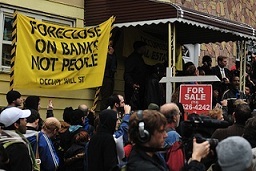 Seize Housing From the Banks for those Who Need Housing! For a Nation Wide Jobs Program Building Housing for All!